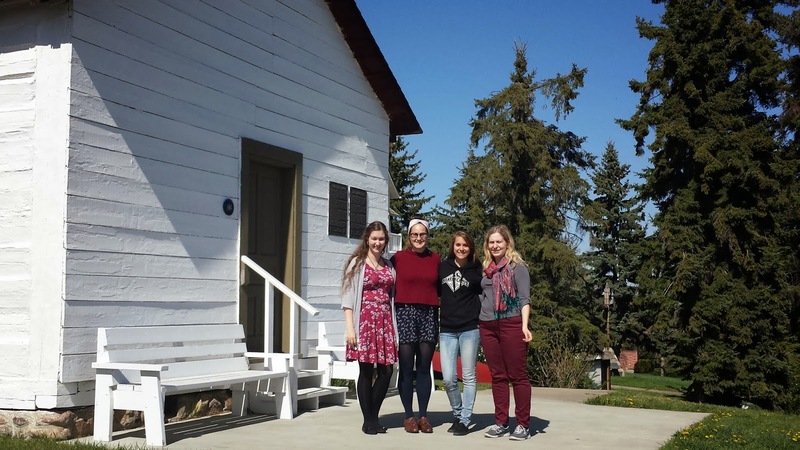 An invitation and introductions from the 2015 summer interpretive staff of the Father Lacombe Chapel in St. Albert, Alberta, Canada...We are looking forward to another great season at the Father Lacombe Chapel and invite you to drop in and see us this summer for a tour or on one of our special event days! We are open seven days a week from May 15, 2015 until Labour Day on September 7, 2015 and will be leading school programs through the months of May and June as well as conducting tours all summer long. As the summer interpreters we care for Alberta’s oldest standing building (built in 1861)and tell the stories of the people and places in this unique community using historic objects, stories and pictures. Let us show you around Mission Hill where you can see the grotto, the cemetery, the crypt and of course the Father Lacombe Chapel. Hello, my name is Maggie and I am a student who is passionate about the history of Alberta. I am so excited to start sharing my passion with all our visitors and enjoying the beautiful summer weather! Bonjour, my name is Julianna Damer and I am a Franco-Albertan born in St. Albert. The history of St. Albert is very rich and fascinating and I look forward to sharing it with visitors and learning from them too! Hello! My name is Jasmine and I’m a West Coast girl exploring Alberta’s history. I’m fascinated by the mix of nations, people and ideas that created St. Albert. Come say hi this summer! Hi my name is Colette Bachand, I am an artist and a student enrolled in a Bachelor of Education at the University of Alberta. I can trace up to five generations of my family living in and around the St. Albert area, and this year I am excited to share these historical stories with you at the Father Lacombe Chapel. I look forward to teaching the next generation about their roots and have them experience it by tasting bannock, touching beaver pelts and singing traditional voyageur songs.